The development after November 1989 was full of political and social change. The totalitarian power fell, the transformation of the political-economic system in favour of market mechanism was in progress, private ownership returned and in 1993 the independent Slovak Republic rose. Changes in politics and economics were transferred into musical life. After the dissolution of central associations and institutions, there arose new art agencies, new clubs, communities or associations, radio and television companies, private music recording studios and music publishers, like mushrooms after the rain. 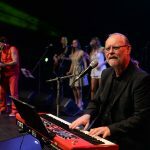 Shortly after the Velvet Revolution the Slovak Jazz Society, the union of 12 authors and performers of popular music, as well as the Unions for professional musicians were established. Not all institutions and agencies, however, met the expectations of musicians in defending their common interests. Artistic agencies do not work correctly as well. General meetings of old and new institutions introduce democratic structure to a certain extent (e.g. SOZA in favour of popular music), but there is still the chance to improve things. Financial subsidies to state organizations and institutions are largely reduced and they are not always fairly distributed, which numbs the current method of how culture can exist in the territory of this state. Modern wealthy businessmen have not reached the level of becoming the sponsors of high quality art and science. Not all editors, subeditors and cultural workers are ready to accept the market effect of economic relations. On the other hand, the freedom of artistic expression, speech and entrepreneurship gives enough space for actionable people who prefer this political and economic climate. The names and addresses of music publishers, studios and organizations and also a rich list of active musicians with their production of all styles can be easily found on different websites (Music Centre, Wikipedia, You Tube and others). In this market environment the development of popular music did not stop, on the contrary, it reached high dynamics. Radio and television stations present “top rankings” of popular songs, there are many CDs and audio cassettes published, from those of high quality up to those having just the value of kitsch art. We can notice the inclination to commercialism which appears as a result of market relations. Not very demanding music, limited in genres, is broadcast by media such as TV Nova, Markíza, Prima, Fun Radio, Rock FM Radio, Radio Koliba, Radio O. K. and others. Not much attention is paid to minority genres like jazz, alternative and avant-garde music, as well as classical music. Uniformity in style generates a further decline in the general culture and it discourages more advanced recipients from a regular following of the media. On the other hand, free entrepreneurship brings unprecedented development. Some art agencies organise tours of jazz and rock bands to the whole Europe and overseas. Jazz and rock musicians broaden their educational horizons at Berklee College in Boston and in Graz (J. Burian, M. Jakabcic, H. Toth). 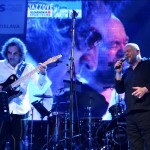 In international formations world-famous jazz personalities perform together with Slovak musicians (A. Ciaccia, L. Konitz, Ch. Marian L. Smith, T. Stanko, M. Stern, J. Stivin and many others). The concert activity at festivals and in clubs has grown so that it is difficult to map. Jazz activities have developed proportionally in all cities. 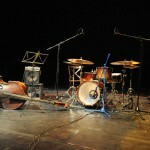 The most important festivals include Bratislava Jazz Days, Jazz Gremium Festival and Pet Jazz in Bratislava, Košice Jazz Festival, Slovak Jazz Festival in Žilina, Jazz Prešov, Jazz Fest Bardejov, Trenčín Jazz Festival and others. 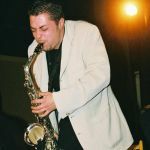 Various clubs and smaller bars offer their premises for jazz performances (Klub Čierny havran – Black Raven Club, restaurant U Liszta in Bratislava, Cassovia Jazz Club, M klub in Košice, Marioneta Jazz Club in Žilina, Tatra club in Nitra, S-klub in Levice, Národný dom – National House, Smädný mních – Thirsty Monk and Irish Pub in Banská Bystrica and others). Here perform the most important jazz personalities in Slovakia (pianists: P. Adamkovic, M. Bihari, P. Bodnar, P. Breiner, A. Danyi, G. Jonas, J. Hajnal, E. Gnoth, K. Kovac, O. Krajňák, M. Menšík, P. Prieložník, K. Seidmann, M. Škuta, J. Tatar and A. Vagner; guitarists: J. Burian, M. Jakabcic, A. Kellenberger, S. Pocaji, A. Seban and M. Zeleznak; bassists: J. Brisuda, F. Freso, M. Gaspar, J. Griglák, A. Jaro, J. Kalász, V. Kratochvila, M. Marincak, R. Ragan and A. Sebo; drummers: M. Buntaj, J. Dome, J. Fabricky, E. Fratrik, J. Rozsival, M. Ruček, P. Solarik, M. Sevcik, J. Skvaril, J. Sosoka and C. Zelenak; saxophonists and clarinetists: S. Ceman, D. Huscava, V. Chochol, I. Kaduc, J. Krajcovic, J. Pondelik, M. Popradi, P. Rucek, M. Suchomel, V. Skrabala, L. Tamaskovic and R. Tariska; trumpeters: J. Bartos, M. Durdina, O. Jurasi, J. Karvas, J. Lehotsky, J. Polak and L. Priehradnik; trombonists: F. Karnok, M. Motyl, V. Ondruska and V. Vizar; singers: B. Balogh, A. Bartosova, R. Hajnalova, I. Heller, G. Huscavova, S. Josifoska, J. Kocianova, D. Libiakova, P. Lipa, J. Orlicka and G. Sustekova, as well as conductors: M. Belorid, B. Trnecka, V. Valovic, P . Zajacek and others. In the last decade of the 20th century other specific genres have received some space: classic blues, R&B, folk, country and various rock styles (e.g. metal and cantilena rock) which partially moves the attention of the listener from mainstream popular music. Blue grass and C&W can be heard each year at the Trnava Dobrofest where its visitors always remember the legendary inventor of the guitar “dobro” the native of Trnava Jan Dopjera. “The new spiritual song” in the style sacra scores especially in the religiously oriented programmes and media (such as TV Lux). There is a much greater differentiation than in previous periods. A lot of discs and notes appear on the shelves. They had previously been literally unavailable or undercounter matter. Despite this positive indicator in the media and theatre dramaturgy, the artistically average and low “hit production” mostly by foreign authors, has received a disproportionate space which contradicts the healthy growth of artistic background among the younger generation.